Much of IFEL’s success was due to two men: Robert N. Tharp and Delmar C Lang. Robert Tharp was a remarkably gifted language teacher and Delmar Lang was a tenacious young military officer who had an amazing facility for influencing decisions by his senior officers. Robert Tharp was born on January 31, 1913 in Kuancheng, China, up north near the border with Mongolia, where his parents had lived since 1903. His missionary father, Edwin James Tharp, was born in Canterbury, England. As a teenager, Robert met Evangeline Elsje Kok (Eva), through a chance encounter on a beach in China around 1929. 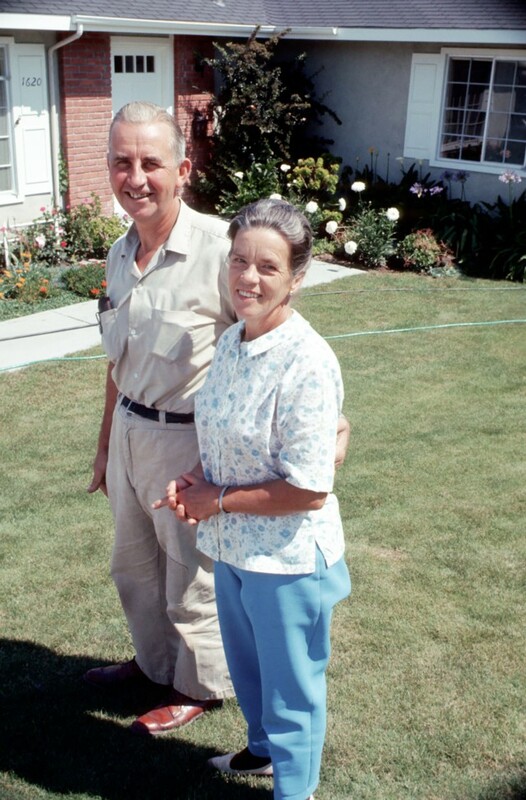 Eva was born January 26, 1914, in Dali, in China's Yunnan Province, to missionary parents from Holland. Four years later, her family moved to Beijing, where her father, Arie Kok, joined the Dutch diplomatic corps. Eva had a brother, Gerard (Jerry) Kok. Robert and Eva were married in China on August 17, 1938. Delmar C Lang was born in 1917 or 1918 in Cleveland, Ohio. In 1940 he was living in East Cleveland, Cuyahoga, Ohio. He married Teresa W. Bailey (born December 19, 1919, in Manchester, England) in 1941. Lang enlisted in the Army, March, 1942, and was commissioned as a 2nd Lieutenant in June, 1943, in the Army Air Corps. After the attack on Pearl Harbor, Tharp was sent to a Japanese internment camp and Eva was placed under house arrest in Mukden, China. In 1942, Eva and her Robert, along with many others, were traded for Japanese prisoners, and they went to India, where they worked for the Indian government and British intelligence in New Delhi. In 1945 they moved to San Francisco so Robert could take charge of radio broadcasting to the Far East under the British Ministry of Information. At the end of the war, the Tharps made three attempts to return to missionary work in Manchuria, but failed. 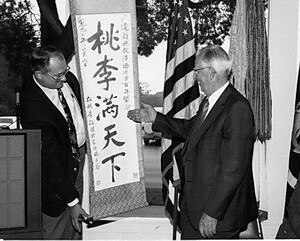 In February 1948, Chinese classes started at the Army language school in Monterey, California. 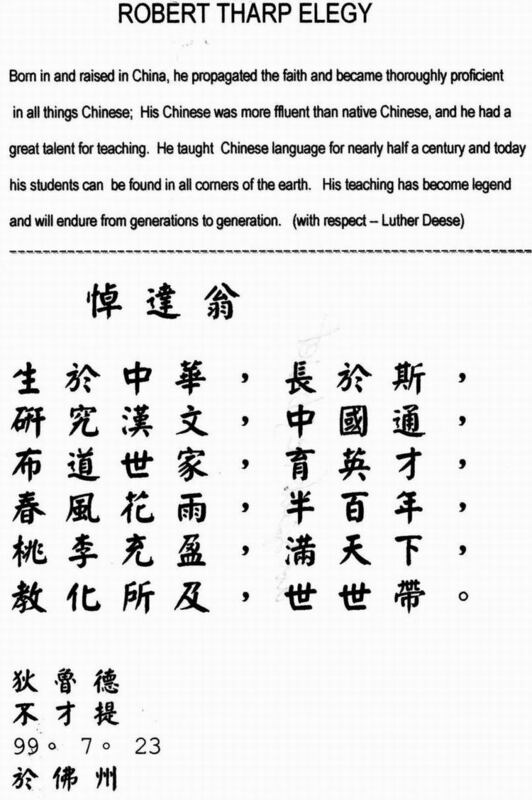 On May 10, 1948, Tharp was hired as a teacher of Chinese at that school. 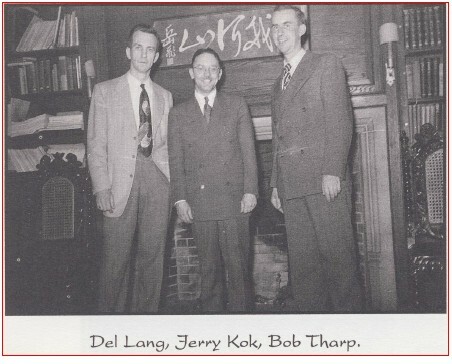 In June, 1948, Army Air Corp 1st Lieutenant Delmar Lang became a student in Chinese at Monterey. On June 25th, 1950, North Korea invaded South Korea. Lang joined USAFSS in 1950. Lang foresaw the eventual entry of Communist Chinese forces into the Korea War. He prepared a convincing argument for his superiors that the program in Chinese at the Army Language School in Monterey was inadequate for the Air Force’s needs and that an all-Air Force school for Chinese linguists should be set up elsewhere, preferably at one of the leading universities. 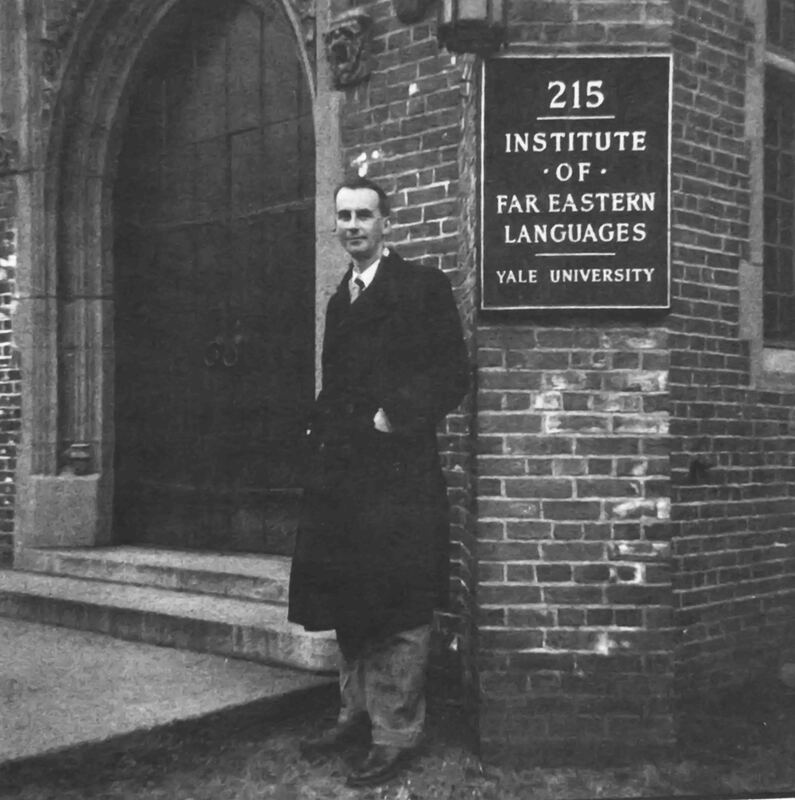 Sometime early in 1951, Del Lang visited Yale to explore the possibility of establishing language programs for Air Force Chinese and Korean linguists. 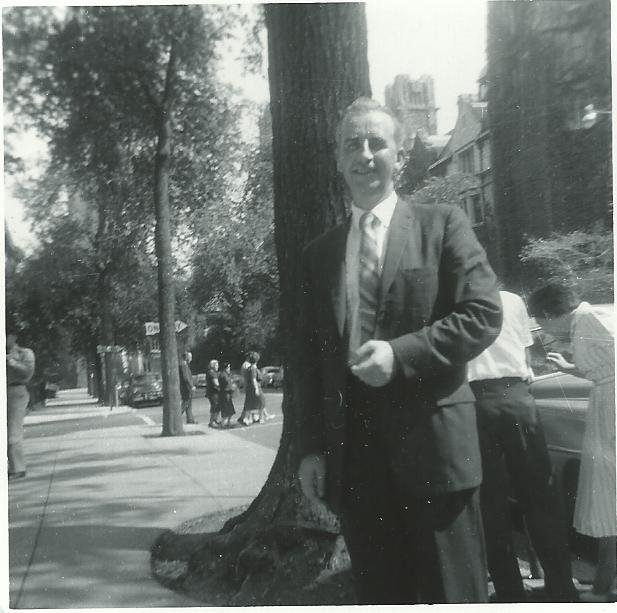 While there, he met Eva Tharp's brother, Jerry Kok, then director of Yale's Chinese program. While the contract with Yale was being negotiated, Kok visited Monterey to familiarize himself with what the school had been doing and to find out why it was unsatisfactory to the Air Force, so he would be better informed as to what was needed. While in Monterey, Kok asked Tharp to join the program at Yale. In 1951, the Air Force withdrew all Air Force students from the Army language school at Monterey, California and sent the students to different universities around the United States. Chinese, Japanese and Korean courses were established at Yale University; Russian courses at Syracuse University. Over the next 15 years there were approximately 3,400 airmen who entered the Yale/IFEL program. Of that total, 2,900 were studying Chinese and 326 were studying Korean. There were 4 classes in 1962, with a total of 234 entering students. In July, 1951, now Capt Delmar Lang started Chinese class at IFEL. In August, Robert Tharp was hired as a senior instructor in Chinese at IFEL. By late 1952 or early 1953, Lang was on Cho Do Island (an island in the Yellow Sea, off the North Korean coast) with the first IFEL trained Chinese linguists. A bio statement for Lang is on the NSA public website. 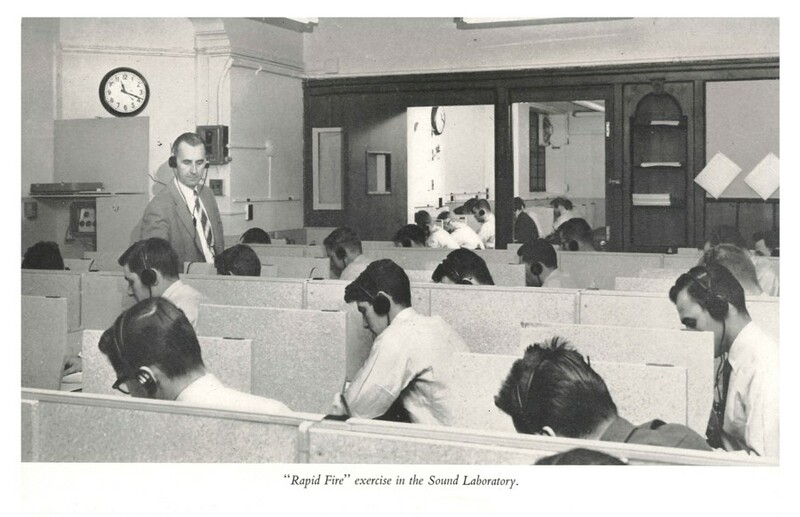 Tharp left Yale when the Air Force contract with IFEL was cancelled and in 1965, joined DLI in Monterey which was now the sole language training center for military personnel. The last class for IFEL entered April, 1965 and the first Air Force class for DLI entered June, 1965. In 1964, Lang wrote a report giving the chronology of events of 2-5 Aug 1964 in the Gulf of Tonkin involving USS Maddow and USS Turner Joy. 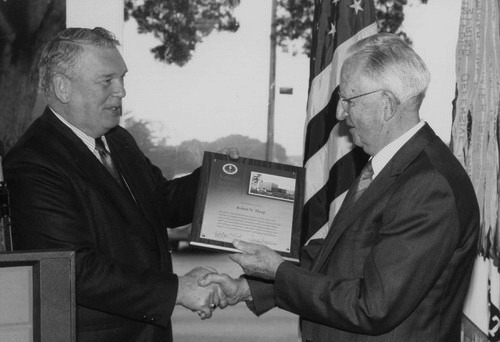 Lang retired from the Air Force as a Lt Col and joined NSA as a civilian in 1965, age about 48. 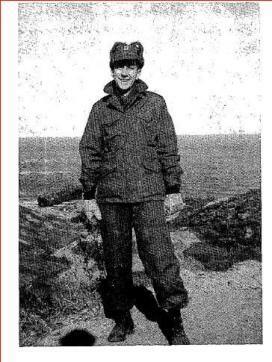 Tharp retired from DLI in 1968, age 55. In 1970 Tharp joined Building Bilingual Bridges, a bilingual program in New York’s Chinatown. That program ended in 1975. In July, 1972 Lang worked with USAF officers Lt. Col. William Kirk and Maj. Ernie Short to establish the Operation Teaball Weapons Control Center at the Thai air base of Nakhon Phanom (nicknamed "Naked Fanny" by US pilots). This tactic combined ELINT/SIGINT RC-135s, EC-121s and U-2s with intelligence specialists of the USAF's 6908th Security Squadron. Read about it here. In December, 1976, the Tharps opened the Old Peking Restaurant in New Monterey. The restaurant was open for about 6 months. In 1977 Eva Tharp opened Eva's Jyaudz Factory, also in New Monterey. 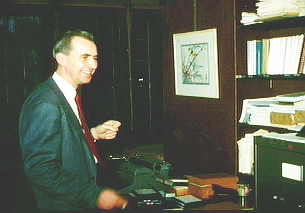 Tharp returned to work at DLI for a textbook project in October, 1977 and left again in 1984 when the project was cancelled. 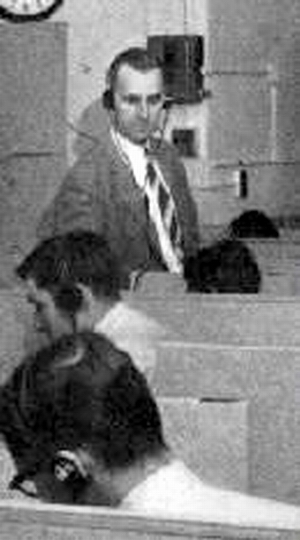 Delmar Lang retired from NSA in 1980. On July 19, 1988, Delmar was interviewed for NSA oral history about the Gulf of Tonkin incident in 1964. At that time he was living in Wheaton, Maryland. Robert Tharp died April 13, 1993. He was 80 years old. After Robert died, Eva formed her own company to complete, publish and distribute his book, "They Called Us White Chinese: The Story of a Lifetime of Service to God and Mankind." Delmar C Lang died August 4, 1997. He was 80 years old. Eva Tharp died August 9, 2004. She was 90 years old. Teresa Lang died November 10, 2010. She was 90 years old. The personal papers of Robert and Eva Tharp are stored in the Robert N. Tharp Collection, 1913-1993 as part of "The Old China Hands" collection of Oviatt Library, California State University at Northridge. See also this Collection Overview. Judie Marks, executor, Tharp Family Trust, has provided these details about the contents of the Tharp Collection. Both Robert Tharp and Delmar Lang are in the In Memoriam Registry of the National Cryptologic Museum Foundation. 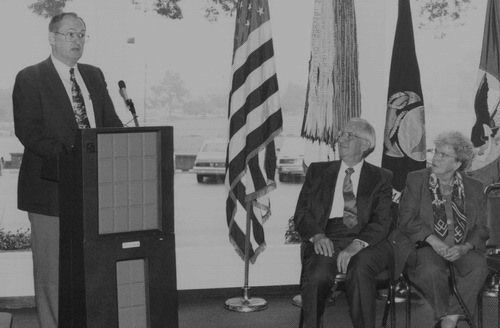 Click here for Robert Tharp's nomination for the National Cryptologic Hall of Honor (author James Pauley). Click here for a short biography for Robert Tharp (author unknown). Webmaster note: information for this page was taken from several sources, including Robert Tharp's autobiography, obituary notices for Teresa Lang and Eva Tharp, and declassified documents posted to the internet by NSA.